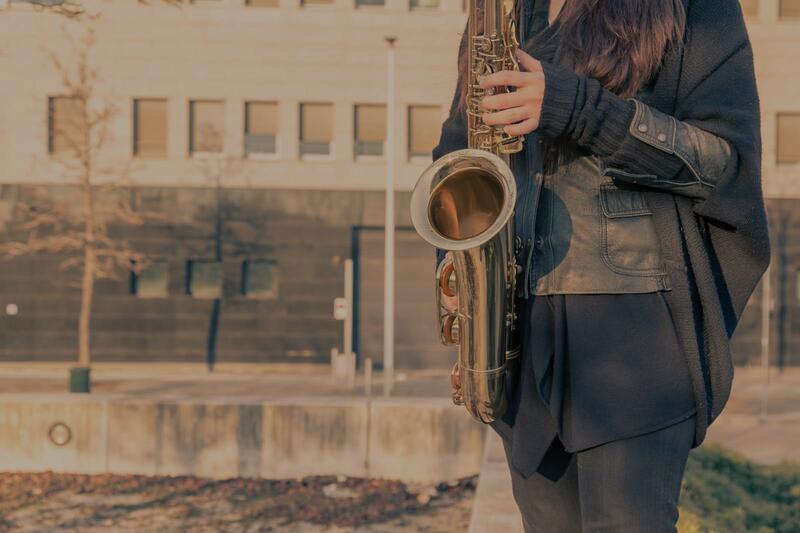 Chestnut Hill, MA Saxophone Lessons Near Me | Fun Classes. Top Teachers. Check out some of our most popular teachers near Chestnut Hill, MA including Boston, Cambridge, Brookline, Somerville and Lexington. All levels. Embouchee focused on with sound production first month with cutting edge Method Books utilized. A family of woodwind instruments, saxophones are usually made of brass and played with a single-reed mouthpiece similar to that of the clarinet. Like the clarinet, saxophones have holes in the instrument which the player closes using a system of key mechanisms. When the player presses a key, this typically causes a pad to close over a hole. There is soprano, alto, tenor, bass and baritone saxophones. The great thing about learning saxophone is it is almost the same fingers as flute and clarinet! We will start with the basics of learning finger placement, breath control, notes, reading, rhythms, songs, theory and improvising. I have been playing various woodwind instruments for almost my entire life. I focus on tone, intonation (staying in tune), and the confidence needed to be a strong melodic player. I teach all of the various saxes including soprano, alto, tenor, and bari. Experienced teacher and Big Band Director, specializing in the beginner/intermediate saxophone student! All ages welcome. Lessons are customized and catered to the needs/goals of each student. Not only will you be playing songs in no time, but you will be building a strong foundation of note reading, music theory, ear training, sight reading, technique, and more. The founder and owner of Jazz Camp, Band Camp for Grownups, Studied with Boots Musulli (Stan Kenton lead alto ) and Jerry Bergonzi. Director of the Vermont Law School Community Jazz Ensemble (2 years). A lover of jazz, bebop and the american song book. All saxophones included. Let's get started! I started playing the clarinet when I was 9 years old. It was a silver clarinet. For my 12th birthday I received a Conn tenor sax. Went to a club with my dad and heard for the first time Boots Musulli, a Charlie Parker disciple and found a way to take lessons from him. I was 15 and couldn't drive so I had to take a bus an hour to each lesson in Milford, MA. Throughout high school and college I played in every big band available, usually lead alto. At New York University I had the good fortune to play with the great saxophonist Dave Liebman. In 1986 I studied jazz improv with Jerry Bergonzi in Boston. am has allowed me to get people back into music as many of them stopped playing earlier in their life. Love jazz, love bebop, Count Basie, Rob McConnell, Sammy Nestico arrangements. and especially the jazz duets that Boots wrote out for us to play. I still have them. Saxophonist of 8 years and current Berklee College of Music student. I like to create a fun and safe place to learn how to control your instrument to get the sound you want from it. If you want to have control of your instrument, good sight-reading skills, great musicality, and good tone then I'm the teacher for you! I will also work on audition and recital pieces with you! We can study any type of music you like, however, I am a jazz and classically trained saxophonist. And don't worry if lessons seem daunting! I feel the same about mine, and I will do my very best to make lessons worth your while! Can't find a teacher in Chestnut Hill, MA? Boston, MA teacher: Orlando G.
"My first lesson was great. Stephanie is patient and makes you feel comfortable." "Amazing, Kind, and fun instructor! Gives great advice and tips. Can't wait for more lessons!" short amount of time. Joseph is a versatile teacher, and tailors his language and instruction to fit the needs of his student. My background is in classical voice, and Joseph was quick to highlight parallels between singing and playing the saxophone that informed and enhanced my playing. A phenomenal player, Joseph can convey concepts through demonstration or simply through clear and accessible language. At the end of the lesson, I left with several tools and concrete exercises I could practice to continue the improvement I had experienced with Joseph. As patient as he is capable, Joseph has the unique ability to work with players of every skill level, and I wholeheartedly recommend him to any saxophonist looking to make significant musical and technical gains in their playing." her direction very well. Currently, she's teaching our daughter acoustic guitar and we've been very happy with her progress." Boston, MA teacher: Lauren M.
e are looking forward to the next class! I think it’s going to help my daughter a lot!" "Jimi is knowledgeable and explained everything about the saxaphone very well. I was happy with my first lesson."